Nov. 1 (NBD) – HNA Investment Group Co Ltd (000616.SZ) aborted Wednesday a major asset restructuring program aimed at acquiring a 100 percent stake in Beijing Xinsheng Medical Investment Management Co Ltd (Xinsheng Medical) and 70 percent in Hainan Cihang International Hospital (Cihang Hospital), ending eight-month procedure of reorganization. Due to uncertainties for further action caused by insufficient conditions and inappropriate timing for restructuring, the board decides to halt the program, the announcement said. The move marks a setback of the conglomerate HNA Group Co Ltd's attempt to transfer core assets in the healthcare sector to affiliated listed companies. The restructuring procedure started on February 7 this year after HNA Investment suspended trading on January 24. On April 13, HNA Investment revealed that the restructuring involves assets in healthcare, health industry and education and other related assets, which included Xinsheng Medical and its major asset Cihang Hospital. The termination of the restructuring came one and a half years after HNA Group's last move to expand deployment in the healthcare sector. On April 21, 2017, the Group established a new education and healthcare subsidiary aiming to build a comprehensive platform incorporating healthcare, education & training and elderly care services. The subsidiary, along with healthcare giant VAMED of Austria, co-founded Cihang Hospital, the first of its kind in Hainan and set to open in April 2019. It is noted that this is not the first time that HNA Investment intends to include the healthcare assets in its listed units. In 2015, HNA Investment planned to acquire 100 percent of shares in Xinsheng Medical for 2.93 billion yuan (420.6 million U.S. dollars) through non-public offering. At the end of 2017, however, the offering was halted. 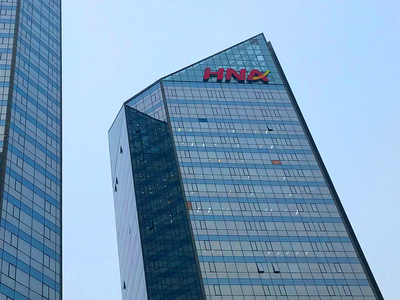 NBD inquired HNA Investment whether there will be another plan to restructure the healthcare sector of HNA Group in the future, but failed to connect the phone by press time. Stock of HNA Investment declined by 1.82 percent to close at 2.69 yuan (0.39 U.S. dollars) on Thursday.